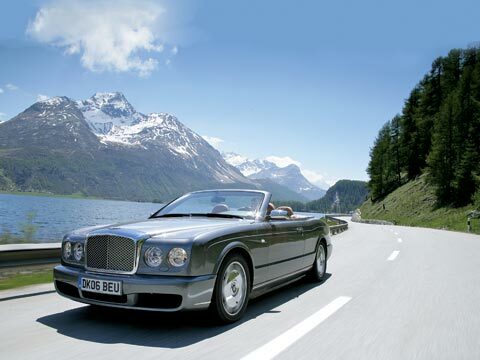 UK-based luxury car major Bentley Motors launched two super-luxury cars in convertible motors segment in India. This models will be available only at its show-room in New Delhi. * Brentley Azure, equipped with V-8 6.75 litre twin turbo-charged engine having torque generating capacity of 875 Nm, is capable to accelerate at the speed from 0-100 km/hour within 5.6 seconds. * Brentley Continental GTC is equipped with 6.0 ltr twin-turbo charged engine which propels the car from 0-90 km/hour within 4.8 seconds. Brentley Azure & Brentley Continental GTC are fitted with electro-hydraulically operated soft-top roof, have elite interior with standard craftmanship, utilizing natural wood veneers and leather hides of finest quality. Bentley cars India, has sold more than 40 cars in the super-luxury segment in india, since 2003. Bentley has only one manufacturing plant in England and expects to sell 25 cars in India this year.